The Tucson Memorial had an explosive finish last year  when the Cuevas Tiebreaker went into affect. 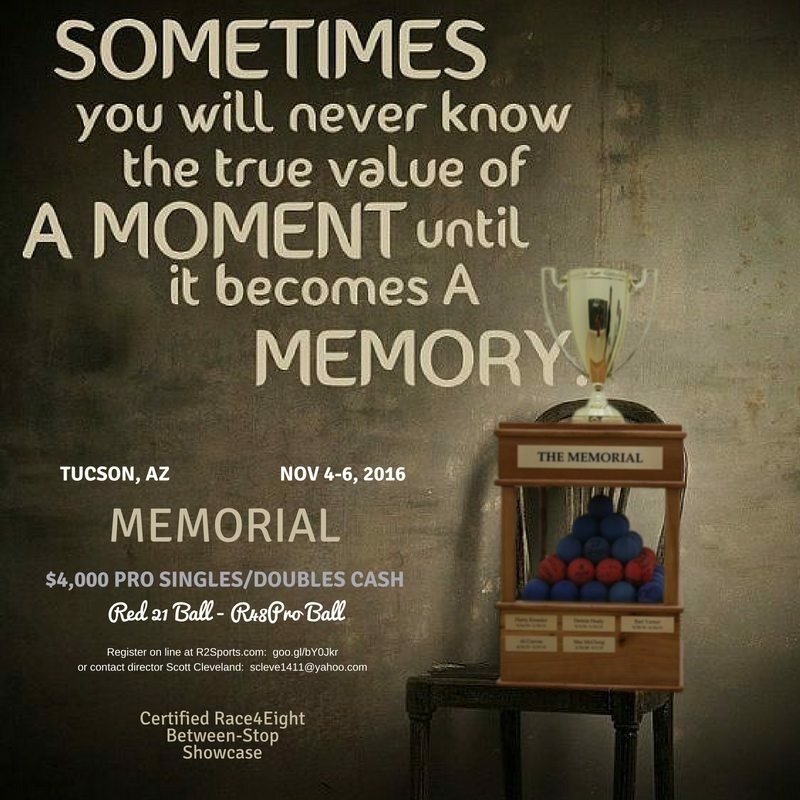 Sean Lenning ultimately won the prize and honor of having his name inscribed onto the Memorial Trophy in the inaugural year and now the 2nd annual memorial returns to the Tucson Racquet & Fitness Club November 4th-6th, 2016. Although this is not a WPH Race4eight Pro Tour Stop, the WPH crew has given us permission to sanction the event as a “Between-R48Pro Stop-Showcase!” This means that pro players will be at the event putting on a show. We will have seats for viewing, amateur brackets, tons of food and drink-all in the attempt to recognize and remember our fallen handball friends that have passed in a celebration of the sport they loved most! For more info, contact me, Scott Cleveland: scleve1411@yahoo.com or register on line: http://www.r2sports.com/tourney/home.asp?TID=18946 – We have taken many names manually through emails, calls and at the club and most of those names are not on the event website yet (our apologies)!